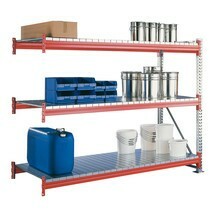 The large shelves make this META wide-span rack ideal for storing bulky and heavy goods. 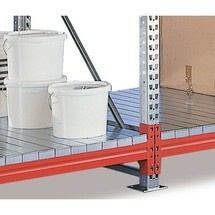 Each of the 4 levels can accommodate a load of up to 500 kg. 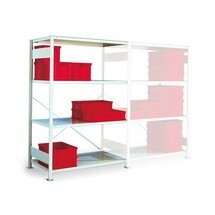 The shelves are attached via a clever boltless system, allowing quick and simple customisation. 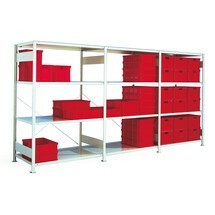 You can thus easily adapt the META wide-span rack to your requirements. 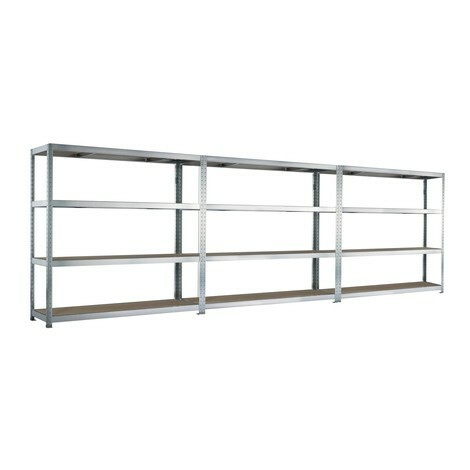 The surface of the META wide-span rack is galvanised for corrosion protection. 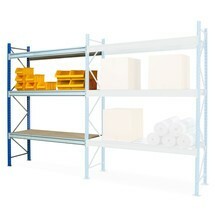 The design of the shelf rack allows it to be accessed from both sides, making it a particularly flexible solution. 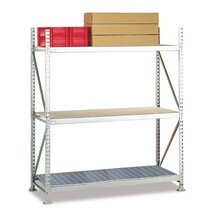 The boltless assembly is very quick and simple, while you can also add further shelves if necessary. Note the maximum unit load in this case. 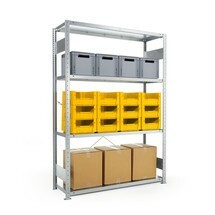 As the height/depth ratio is greater than 5:1, the META wide-span rack must be secured against tipping. 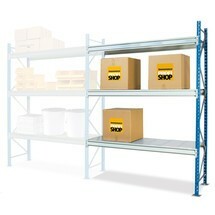 Order the complete META wide-span rack package with chipboard from our shop today.